Bus trip to Nicosia, Palechori, Agros, will let you know to visit the last divided capital in Europe. We will get to know history and culture. In Nicosia we will visit St. John Cathedral and nearby Archbishop Palace with monument of Makarios III – first president of Cyprus. We will drive along Venetian walls surrounding city. We will have possibility to see the only border crossing between south and north occupied part of Cyprus. 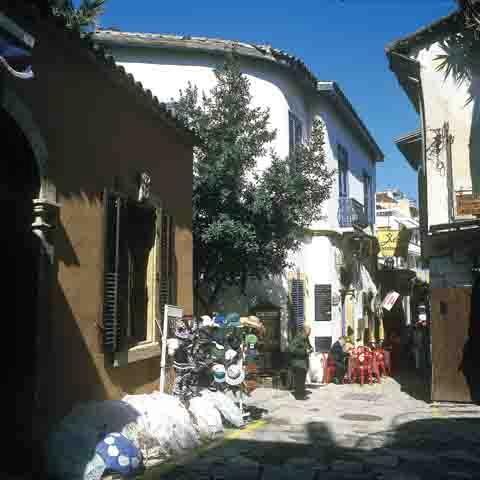 During free time you can have lunch and go for a walk in narrow streets of Laiki Yitonia. During this excursion we will get know also lovely located on green hills Troodos Mountains, quiet villages and genuine hospitality of Cypriots. 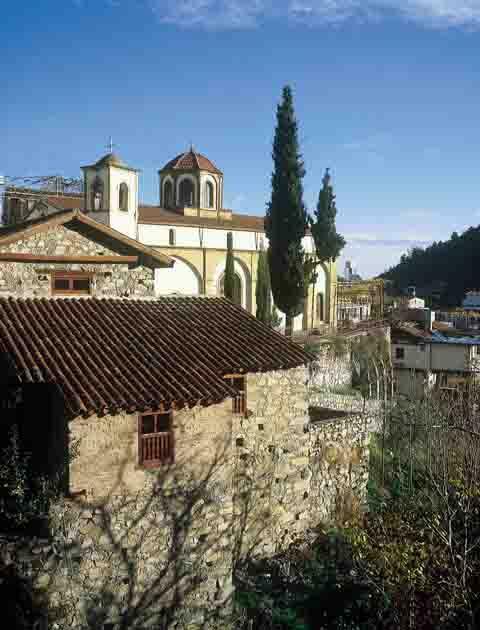 In Troodos Mountains we will visit village Palechori with very rich history. In Palechori we will visit church… and the statue of the mother. Continue excursion we will get to Agros where we will visit the famous Rose factory, which there you may see how do they produce rose liqueur & brandy, rose candles e.t.c. Excursion to centre of Limassol. If you are staying in one of the hotels in Limassol this trip is a great opportunity to get to know neighbourhood. It great to get to know history of the city where all important Cyprus festivities become and get information about life in the old times, when Greek Cypriots and Turkish lived here together. We will visit fruit bazaar, castle – where king Richard the Lion Heart got marry to Queen Berengaria. Free time it’s for shopping in shops where local do their shopping. You will get special discount after showing C.S.H club membership card. In second part of trip we will go to winery when you can try different kinds of wines and make shopping for very good prices. Continue to pottery and then factory of sponches. It a great opportunity to get to know traditional Cyprus cuisine and additional oh the way to tavern we will go to one of traditional Cyrus villages. You will have possibilities to try Cyprus „meze” – about 20 dishes from local cuisine, for example: taramosalata, tahini, halloumi and many others meat dishes. 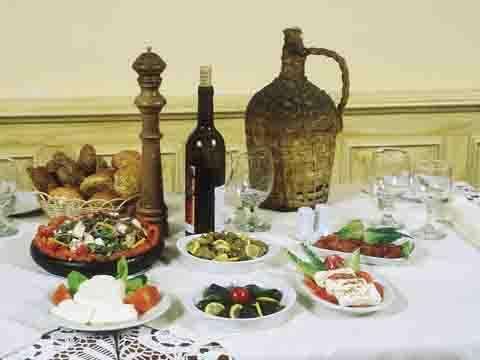 To this delicious food we offer also tasty Cyprus wine. Remember to take empty stomach for this party. During all evening Cyprus dancers will entertainment you with traditional music and dances. You will have also possibilities to try your luck in dancing. In the morning we drive towards Nicosia passing British bases and Dhekelia. From Limassol we go directly to Nicosia passing by the Ancient city of Choirokoitia found to be built from 9000 years B.C. In Nicosia we visit the Cyprus handicraft centre, Archbishop Palace, St. John Cathedral, Famagusta Gate, Monument of Liberty, the 16th century Venetian Walls, Green line Ledra Palace check-point and the green line which divides the city in two. Free time will be given in “LAIKI YITONIA” a recently restored 19th century quarter with famous tavern’s and craft shops. Continuing the tour to Troodos Mountains where we will first visit a Church “Pothido” which is under UNESCO protection and closely located to the popular mountain summer resort, KAKOPETRIA. Then we climb higher passing through the Cyprus forest, where we could see CYPRUS MOUFLON, a type of wild sheep unique to the island. We will also pass through apples producing areas, almonds trees areas and vineyards. Proceeding to LANIA Village famous for wine producing, a very picturesque resort hosting few British and local painters. This our presents an ideal opportunity for visitors to acquaint themselves with their surroundings. 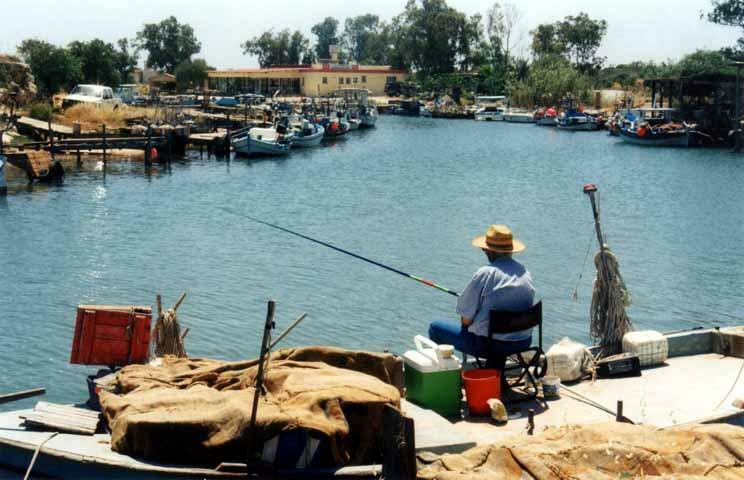 Short tour of AYIA NAPA visiting the 16th century Venetian monastery and then we will visit small fishing harbour of “Potamos Tou Liopetriou” a natural river connected with sea water, where the fishermen have their fishing boats. We then continue our tour to the villages of Liopetri and Xylophagou where you will be able to see the local basket markets at work as well families working at home. DHERYNIA will be the next stop. 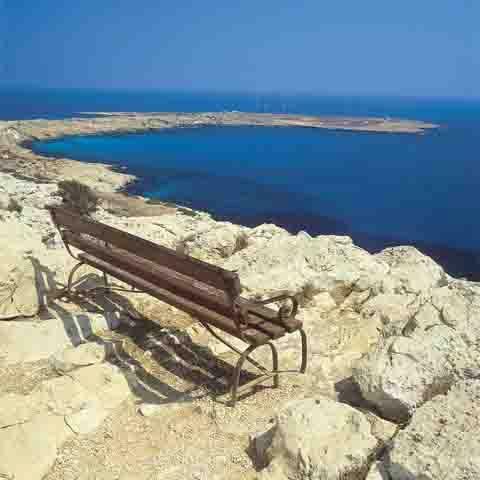 Here you can break for refreshments and view the Ghost town of FAMAGUSTA, formerly the Island’s favourite resort. We conclude our morning with a walk at CAPE GRECO, the Eastern point of Europe, where we visit a church built over a natural cave. From LIMASSOL on the way to LARNACA we could visit Angeloktisti Church then see salt Lake with flamingos and visit Hala Sultan Tekke. Then we can visit St. Lazarus Church near the shopping Centre of LARNACA. 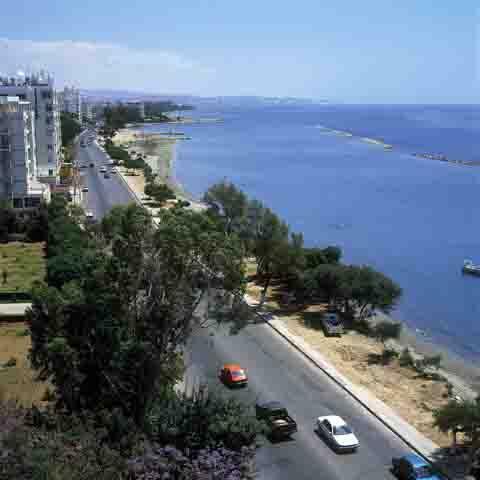 We continue our tour towards AYIA NAPA driving by the coastal road passing trough the tourist area of LARNACA and the British Bases of Dhekelia. When we drive in AYIA NAPA we stop by the harbour and walk to see the monastery in the centre. Then we continue to CAPO GRECO the Eastern point of Europe, then to DHERYNIA Village to see the Ghost town of FAMAGUSTA and return by the Green Line via LIOPETRI, LARNACA and LIMASSOL. From LIMASSOL & LARNACA can also spend the day in AYIA NAPA to enjoy, relax at the golden sandy beaches of AYIA NAPA or in the WATER WORLD visiting also DOLPHIN PARK & LUNA PARK. 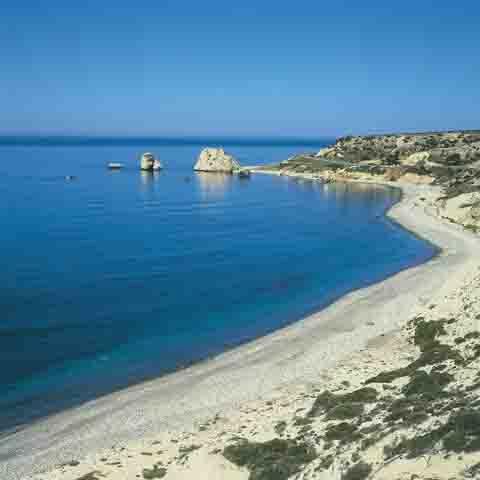 We continue from AYIOS NEOFYTOS – Monastery with fascinating 12th century frescoes and icons, driving along road lined with vineyards stretching down to the coats, trough the small town of POLIS and the fishing shelter of LATCHI on the north – western coast and we arrive to the BATHS OF APHRODITE. In this idyllic spot of unspoiled beauty, the Goddess Aphrodite used to bathe and refresh herself. According to the legend swimming in these waters will enable you to regain your youthful strength. On our way back to Limassol we will stop at Yeroskipou Village where you may sample famous Cyprus Delights. 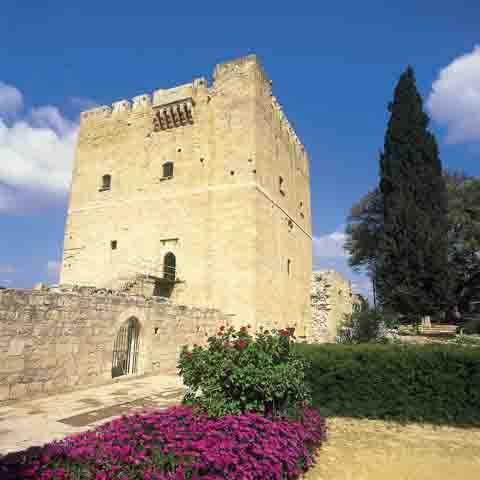 The tour begins in LIMASSOL with a stroll in the old town, where we will see some workshops and neo – classical houses. Free time will be given for shopping. Our next stop will be the Island’s largest wineries. Experience how wine is made and sample some of the famous Cypriots wines. We continue out tour to KOLOSSI CASTLE built by St. John The Crusader passing through FASSOURI citrus plantation. 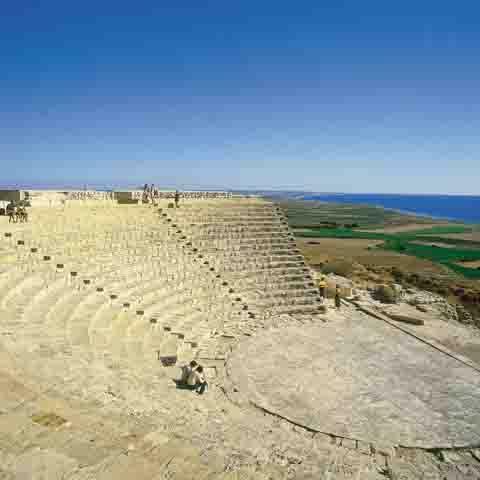 Visit the ancient city of CURIUM with its famous Amphitheatre and concerts are organized through the summer. We can also visit the famous church of St. Ermogenis. We finish our guided tour visiting other Ancient sites in EPISKOPI Village where we can visit EPISKOPI MUSEUM to see all the exhibits discovered during the excavations of CURIUM. Enjoy a coffee or drink in the unique courtyard of ANTHONY’S GARDEN HOUSE. An old traditional building with Cypriot architecture of about 200 years old. Lunch in a local beach tavern and swim by CURIUM beach. Return back home full of nice memories. On the way back time permitting for people joining the Tour from LARNACA, AYIA NAPA & PROTARAS can visit the village of LEFKARA famous for its silver and handmade Lefkaritika lace; at extra cost.